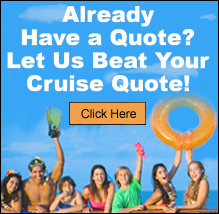 Wedding and Honeymoon Cruises - Just Cruises, Inc.
What Could Be More Memorable Than A Picture Perfect WEDDING Cruise? Shipboard Weddings: Whether your wedding is large or small, we'll assist you in finding the perfect onboard location for your special event. From a private ceremony for the bride and groom, to a larger wedding of 100 or more guests, there is an array of cruise lines and Itineraries to choose from. Island/Destination Weddings: Imagine exchanging your vows on a sun-soaked beach in Nassau, by a cascading waterfall in Jamaica, or amidst a lush tropical garden in St. Thomas. Cruises deliver your choice of picturesque locations for a perfect backdrop and an unforgettable wedding ceremony. We look forward to assisting you in creating the most important vacation of your life. What Could Be More Relaxing Than A Picture Perfect HONEYMOON Cruise? Cruises are the ideal choice for honeymooners. A cruise vacation offers a world of choices for a couple - romantic dinners for two, relaxing breakfasts in bed, spa packages, late night strolls on the deck. Or opt for more action-packed activities that range from parasailing to mountain biking. You can have it all on a cruise. Today's cruise ships and itineraries offer a wonderful array of options. Wedding and honeymoon cruises provide an unforgettable travel experience and memories that will last a lifetime. Let us help reduce the stress of planning your honeymoon. you will be contacted by one of our honeymoon planners. or call toll free 888-461-BOAT (2628). Thank you.